Navigating the busy Pune streets in the hot sun is a challenge. No wonder they say if you can drive in Pune you can drive anywhere in the world. As you avoid hawkers in the narrow lanes near Moti Chowk, an orange flag captures your attention. The legend ‘Murudkar Jhendawale’ inscribed in Devanagiri is noticeable. All kinds of political merchandise like flags, pluck-cards, caps, badges, uparnas (shawl-like strips of satin), banners, tags, you name it and it is available at Murudkar’s. With Pune’s polling day (April 17) approaching, the shop has witnessed a spike in sales. With the growing popularity of the Aam Aadmi Party, the Gandhi cap has again become a fashion statement at political rallies. “The demand for different colours and designs has risen more than for normal caps,” he says. “Now every political party wants its own Gandhi topi.” Not surprisingly, the caps, priced between Rs 2 and Rs 5, constitute the single most sold item at Murudkar’s. One can get various combinations at the shop. “Puneri phetas or pagdis are known across India,” says Murudkar. “We have designed phetas according to every party’s need.” Uparnas are sold for Rs 15-20; phetas start at Rs 800. Prices of party flags vary according to size. 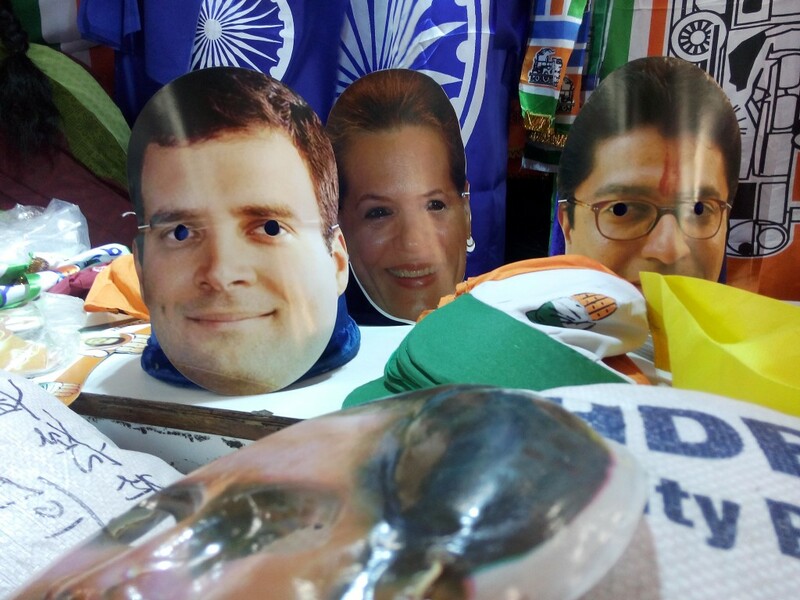 Murudkar’s is not an outlet for the sale of only political paraphernalia. The shop also sells products for specific religious and cultural occasions. But right now, it’s the festival of democracy that is driving sales. 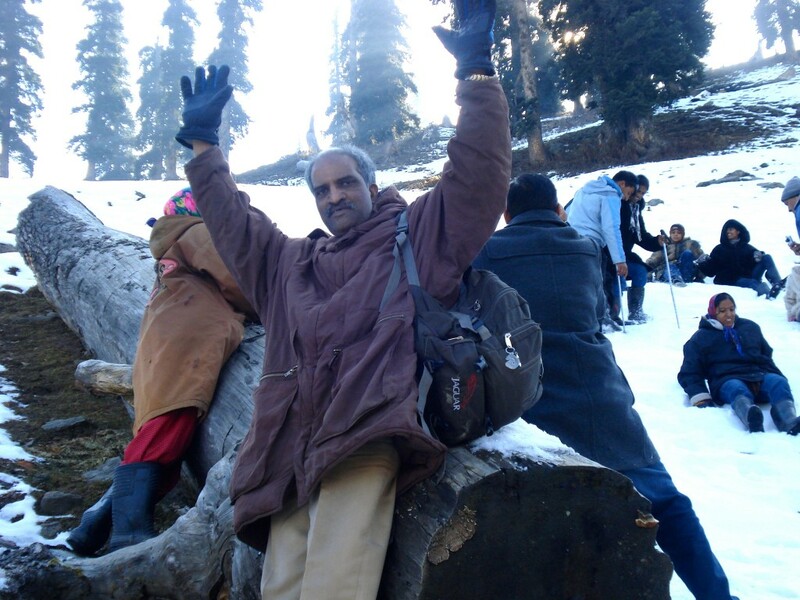 Ask Girish Murudkar about his favourite politician and he refuses to commit himself. All he wants, he says, is “development of the city”. Why, he’s speaking like a politician himself. On April 17, 122 constituencies will be contested on what is set to be the biggest day of the 2014 Lok Sabha elections. Approximately 1,800 candidates will fight for seats from Bihar, Chhattisgarh, Jammu and Kashmir, Goa, Jharkhand, Karnataka, Madhya Pradesh, Maharashtra, Manipur, Odisha, Rajasthan, Uttar Pradesh and West Bengal. Over 60% of the seats up are currently held by either Congress or the BJP, which makes Phase 5 crucial in determining the fate of the two main parties. Use our interactive constituency map to see how your candidate measures up in terms of age, gender, education, wealth, and criminal activity. See Phase 5 constituencies in full screen. The data used for this interactive map is from National Election Watch and Association for Democratic Reforms, based on the sworn affidavits of the candidates. If you thought you knew all about sloganeering, maybe you should take a trip to Tamil Nadu. Politicians in the southern Indian state have perfected the art of using catchy idioms and phrases to capture the public imagination. 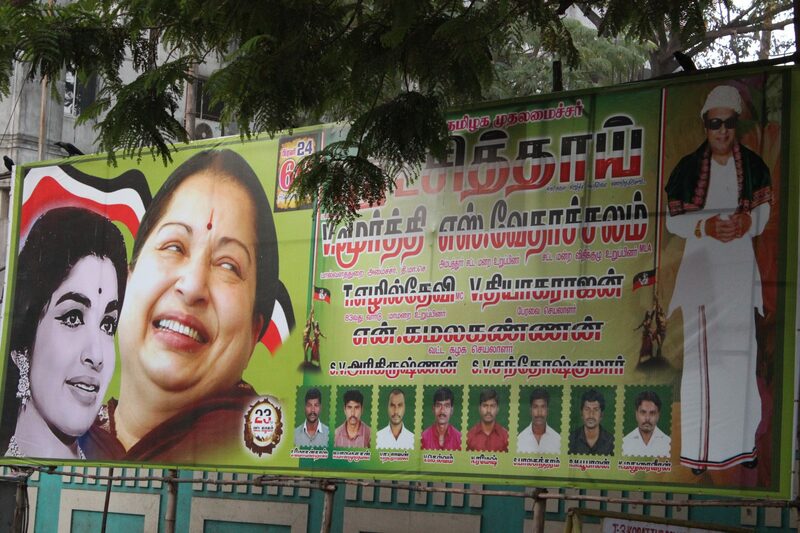 The posters urge voters to give Jayalalithaa a chance to lead the country by giving her the maximum number of seats from Tamil Nadu. The state sends 39 MPs to the Lok Sabha. 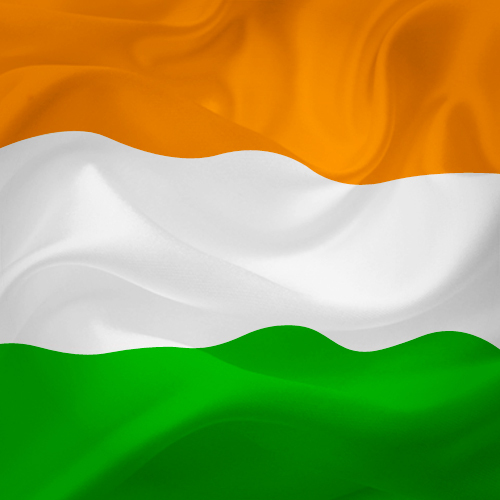 Neighbouring Pondicherry, a Tamil-speaking Union Territory, sends one. Jayalalithaa is nothing if not bold. Her slogans have been carefully crafted to let people know of her aspiration to be the prime minister. Other leaders of the the Third Front seem to lack this self-confidence. Ramalingam, an AIADMK workers, says ‘Amma’ is their “protecting Goddess”. He and others like him belt out the slogans with great belief. Women fans of the party shout slogans like “Naalai namathe 40m namathe” (Tomorrow is ours, 40 seats are ours). Even the 1964 slogan describing the late chief minister M G Ramachandran, Jayalalithaa’s political mentor, as “Aayirathil Oruvan”, or “One among thousands”, has been revived. After all, the older generation still reveres the one-time film star. By contrast, the Dravida Munntera Kazhagam‘s slogans are yet to find their cadence. ‘Light up Tamil Nadu, save Tamil Nadu from power-craving Jayalalithaa’ and ‘Change is the only way for a prosperous Tamil community’ hardly have the same ring. Though the party’s octogenarian leader M Karunanidhi has offered “We do what we say and say what we do’, it does not seem to have grabbed much voter attention. The smaller parties of Tamil Nadu may lag behind in number of votes and seats but do not lack catchy slogans that convey their message to the faithful. The Bahujan Samaj Party, a party of Dalits, says, “Engal ottil ungal aatchi nadakkathu” (You cannot rule over us with our votes). “Vaaku seetu vilaiporul alla” (Vote is not a commodity to be sold) aims to make the Dalit realise that her vote is precious and must be used well. “Vanniyar ottu anniyaruku illai” is the call of the Pattali Makkal Katchi, a caste-based party which wants to show its power by saying its vote is not for ‘others’. The BJP, the main challenger for power in Delhi, is using its national slogans that showcase the development agenda. Even in Tamil Nadu, they say it’s “Time for Change Time for Modi” and “Time to make a difference”. The ruling Congress, however, is yet to make public its focus apart from listing the glories of years past and requesting people to give them yet another chance. Which slogan will carry the day? We’ll know soon. It came mainly from the US. The second in line with contributions was the UAE. Then Hong Kong, UK, Singapore, Canada and Australia, in that order. The grand total of overseas contributions to the Aam Aadmi Party? Last we checked, it stood at Rs 73,952,024 (£732,125), which accounts for 30% of its campaign kitty. Here’s an interactive breakup. The remaining 70% of AAP donations came from India itself, where over Rs 172,400,687 (£1.7 million) was donated by some 76,073 individuals. (Note to reader: this data may change; check AAP’s donation list for the latest). The average Indian donation is around Rs 2,266 — or £22.43. As for the overseas contributions, this was largely through micro-donations from Non-Resident Indians. Around 10,860 international donors contributed an average of Rs 7,386 (around £73) each, to raise Rs 73,952,024 (£732,125). Raj Redij-Gill, who heads the AAP support network’s global fundraising initiative from Staines-upon Thames in the UK, said social media and digital marketing technologies played a “critical” role in raising money. He said AAP activists had to think differently when the campaign started. Redij-Gill, a digital marketing professional who came to Britain from Mumbai in 1996, quit work to lead the party’s fundraising effort. He said he had to move away from the traditional system of “having a few big sugar daddies who give you a few million and then you are beholden to them”. Using NRIs also allowed 24-hour support for the AAP project. “As we were working across time zones it helped quite a bit that we could spread out our volunteer force across the world,” he said. AAP’s California-based global media coordinator Pran Kurup said the difference between the AAP’s approach to fundraising and that of other parties was “night and day”. “It’s like comparing mobile phones and mainframes,” said Kurup, an entrepreneur originally from Madras. “One of the reasons we use different techniques is because of the support base we have. Younger people are doing this – many people who have been exposed to the Obama campaign, for instance. Kurup said that NRI supporters of AAP had experimented with different ways of raising funds from the diaspora. “We were able to come out with email campaigns where you write targeted emails like they did in the Obama campaign,” he said.